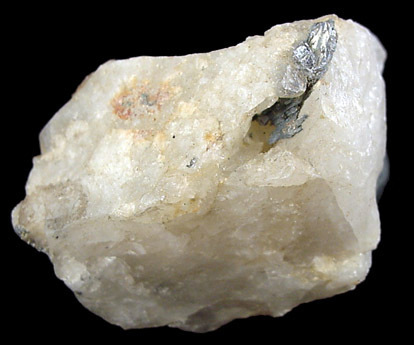 Joséite: Mineral information, data and localities. Named for the Type Locality, San José, Minas Gerais, Brazil. 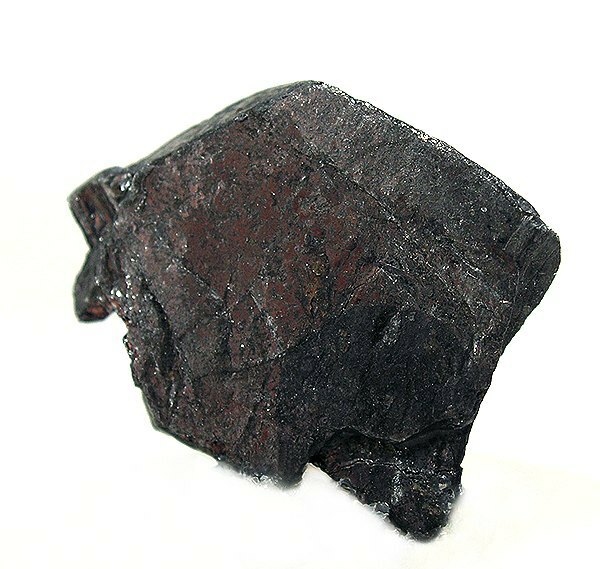 Originally reported from San José mine, Mariana, Minas Gerais, Southeast Region, Brazil. Possibly just tellurium-rich Ikunolite (see P. Bayliss: Am. Mineral. 76 (1991), 257-265). See also Joséite-A and Joséite-B (both questionable), and Joséite-C (published without approval). Graph shows reflectance levels at different wavelengths (in nm). Top of box is 100%. Peak reflectance is 8-54%. Bismuth 7 photos of Joséite associated with Bismuth on mindat.org. Phlogopite 3 photos of Joséite associated with Phlogopite on mindat.org. Bismuthinite 1 photo of Joséite associated with Bismuthinite on mindat.org. Eulytine 1 photo of Joséite associated with Eulytine on mindat.org. Bismite 1 photo of Joséite associated with Bismite on mindat.org. Quartz 1 photo of Joséite associated with Quartz on mindat.org. Palache, Charles, Harry Berman & Clifford Frondel (1944), The System of Mineralogy of James Dwight Dana and Edward Salisbury Dana Yale University 1837-1892, Volume I: Elements, Sulfides, Sulfosalts, Oxides. John Wiley and Sons, Inc., New York. 7th edition, revised and enlarged, 834pp. : 166-167. American Mineralogist (1949): 34: 365-366. 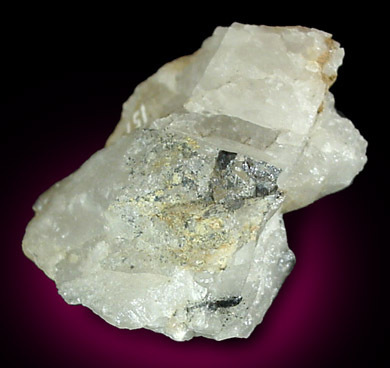 Zapiski Vserossiyskogo Mineralogicheskogo Obshchestva (1983): 112: 589-601. Lawrence, L.J. & Markham, N.L. (1962) - A contribution to the study of the molybdenite pipes of Kingsgate, NSW, with special reference to ore mineralogy. - Proceedings of the Australasian Institute of Mining and Metallurgy, 203, 67-94. Clissold, M. E., Leverett, P., Sharpe, J. L. & Williams, P. A. (2008): Primary bismuth minerals from the Wolfram pipe, Kingsgate, New South Wales. Australian Journal of Mineralogy 14, 19-25. ; Clissold, M. E. (2007) Aspects of the Supergene Geochemistry of Copper, Nickel and Bismuth. PhD Thesis University of Sydney, Australia 162pp. Cook, N., Ciobanu, C., & Howard, W. (2007). Bi-tellurides in gold veins BiTel Knoll (CLY prospect) southeastern British Columbia, Canada. Dennis, Frank A. R., "Petrology and Mineraliation of the Deep Cove Pluton, Gabarus Bay, Cape Breton Island, Nova Scotia", M.Sc. Thesis, Acadia University, September 1987. Liu, J. (2017). Indium mineralization in a Sn-poor skarn deposit: A case study of the Qibaoshan deposit, South China. Minerals, 7(5), 76. Breiter K., Škoda R., Veselovský F.: Neobvyklý P-, Li- a Sn-bohatý pegmatit z Vernéřova u Aše, Česká republika. Bulletin Mineralogicko-petrografického oddělení Národního muzea v Praze, 2009, roč. 17, č. 1, s. 41-59. Litochleb, J.: Mineralogie zlatonosného zrudnění z dolu Jakub u Kasejovic (jz. Čechy). Bulletin mineralogicko-petrografického oddělení Národního muzea v Praze, 1998, roč. 6, s. 102-112. Litochleb J.: Zlatonosné žíly v Újezdci u Bělčic. Sborník Jihočeského muzea v Českých Budějovicích, Přírodní vědy, 1984, 24, 73-80. Kinnunen, Aulis 2008. A paleoproterozoic high-sulfidation epithermal deposit at Orivesi, Southern Finland. Acta Universitatis Ouluensis, Series A. Scientiae Rerum Naturalium 507. Chauris, L. (2014): Minéraux de Bretagne, Les Editions du Piat, 83. XRD confirmation by Hori Mineralogy, Tokyo, and F. Keutsch, Harvard. Shimizu et al (1999) Memoirs of Tochigi Prefectural Museum, 16, 89-101. Spiridonov, E. M. (1982): Mineralogy of the Ichkeul'mes skarn copper deposit, central Kazakhstan. Novye Dannye o Mineralakh 30, 208-226. Kołodziejczyk, J., Pršek, J., Melfos, V., Voudouris, P. C., Maliqi, F., & Kozub-Budzyń, G. (2015). Bismuth minerals from the Stan Terg deposit (Trepça, Kosovo). Neues Jahrbuch für Mineralogie-Abhandlungen: Journal of Mineralogy and Geochemistry, 192(3), 317-333.; Kołodziejczyk, J., Pršek, J., Voudouris, P. C., & Melfos, V. (2017). Bi-sulphotellurides associated with Pb–Bi–(Sb±Ag, Cu, Fe) sulphosalts: an example from the Stan Terg deposit in Kosovo. Geologica Carpathica, 68(4), 366-381. Y. Moëlo : "Compte-rendu de la réunion "Systématique des Minéraux" du 23 novembre 1989", Bull. Soc. Franç. Minéral. , France. Rabone, S.D.C. (1977) Molybdenum-base metal-bismuth mineralisation at Eliot Creek, Karamea Bend, and Taipo Spur, North-west Nelson, New Zealand. (Unpublished PhD thesis), University of Auckland, New Zealand. Domańska, J.: Rędziny. Otoczak, nr. 29, p. 38-52. ; Pieczka, A., Gołębiowska, B., & Parafiniuk, J. (2011). Gold in sulfide-telluride assemblages at Rędziny, Rudawy Janowickie Range. Gold in Poland, AM Monograph, (2), 119-134. Antunes, I.M.H.R., Gomes, M.E.P., Neiva, A.M.R., and Teixeira, R.J.S. (2010): Goldschmidt Conference Abstracts 2010. Eremin, N. I.; Okrugin, V. M.; Pozdnyakova, N. V.; Sergeeva, N. E. (1973): Mineralogy of the Strezhanskoe chalcopyrite-complex ore deposit at the Rudnii Altai. Vestnik Moskovskogo Universiteta, Seriya 4: Geologiya, 28, 58-75 (in Russian). Parada, S. G., & Stolyarov, V. V. (2012, August). Relation of gold mineralization on the northern flank of the Tyrnyauz deposit to intrusive complexes, Kabardino-Balkar Republic. In Doklady Earth Sciences (Vol. 445, No. 2, pp. 939-942). MAIK Nauka/Interperiodica. Simanenko, L.F. (2006): Geology of Ore Deposits 48(4), 290-303; Simanenko, L. F. (2007). Modes of trace element occurrence in galena from the Partizansky base metal-skarn deposit, Primorye. Russian Journal of Pacific Geology, 1(2), 144-152. Gvozdev, V.I., Dobroshevsky, K.N., Vakh, A.S. et al. (2016): Malinovka deposit—A new type of gold mineralization in Primorye, Russia: Geology, mineralogy, and genesis. Russ. J. of Pac. Geol. 10, 34-49. Lyubimtseva, N. G., Bortnikov, N. S., Borisovsky, S. E., Prokofiev, V. Y., & Vikent’eva, O. V. (2018). Fahlore and Sphalerite from the Darasun Gold Deposit in the Eastern Transbaikal Region, Russia: I. Mineral Assemblages and Intergrowths, Chemical Composition, and Its Evolution. Geology of Ore Deposits, 60(2), 93-120. Prokofiev, V. Y., Garofalo, P. S., Bortnikov, N. S., Kovalenker, V. A., Zorina, L. D., Grichuk, D. V., & Selektor, S. L. (2010). Fluid inclusion constraints on the genesis of gold in the Darasun district (Eastern Transbaikalia), Russia. Economic Geology, 105(2), 395-416. Wagner, T., & Jonsson, E. (2001). Mineralogy of sulfosalt-rich vein-type ores, Boliden massive sulfide deposit, Skellefte district, northern Sweden. The Canadian Mineralogist, 39(3), 855-872. Dmitriy I. Belakovskiy (2003): New Data on Minerals: 38: 101-112.; Plotinskaya, O. Y., Kovalenker, V. A., Seltmann, R., & Stanley, C. J. (2006). Te and Se mineralogy of the high-sulfidation Kochbulak and Kairagach epithermal gold telluride deposits (Kurama Ridge, Middle Tien Shan, Uzbekistan). Mineralogy and Petrology, 87(3-4), 187-207.